It’s the calm before the storm around here at the moment. Hubby and I are treading water, not quite twiddling our thumbs, finishing up tasks on our list that need to be done before we leave for Italy, and generally trying NOT to get too excited too soon. I shopped last week. I found a great new travel purse, and a black Madewell tee that will round out my warm weather travel choices. I may have purchased a gorgeous pair of burgundy Paul Green loafers for fall. But you’ll have to wait until we return from Italy to hear about those. I’m thinking they will lessen the post trip let down, when I know I’ll be thinking, “Manotick is lovely, but it ain’t Rome.” Nothing like planning a new outfit to lift one’s spirits, eh? This week, I’ll be finalizing my packing lists, and then, well, packing. And trying to maintain my equanimity. I’ve been listening to books on my Audible ap on my phone. If outfit planning can lift one’s spirits, there’s nothing like a little gentle reading, or listening, to calm them. I’d never listened to Jane Austen books on Audible before. Rosamund Pike narrating Pride and Prejudice is sublime. Eleven hours and thirty-five minutes of heaven. 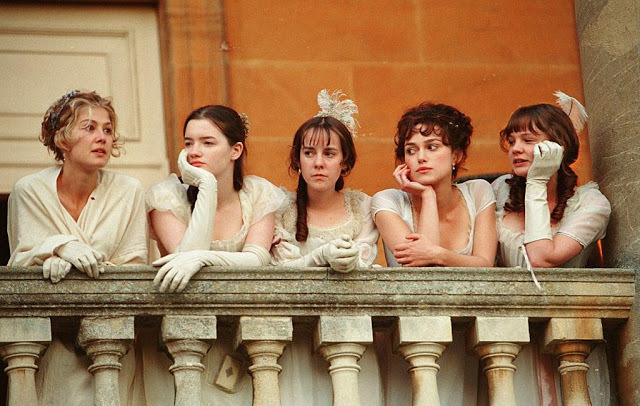 That’s her on the left below, playing Jane Bennet in the 2005 movie version of the novel. Not my favourite film version, I will say. The Bennet sisters in the 2005 movie version. I’ve been well spoiled by the 1995 mini-series with Jennifer Ehle as Elizabeth Bennet, and Colin Firth as Mr. Darcy. That’s the definitive version in my books. No one can touch Colin Firth’s Darcy, and Alison Steadman is annoyingly wonderful as Mrs. Bennet. I’ve seen the series so many times that I can quote a whole wack of it off by heart. 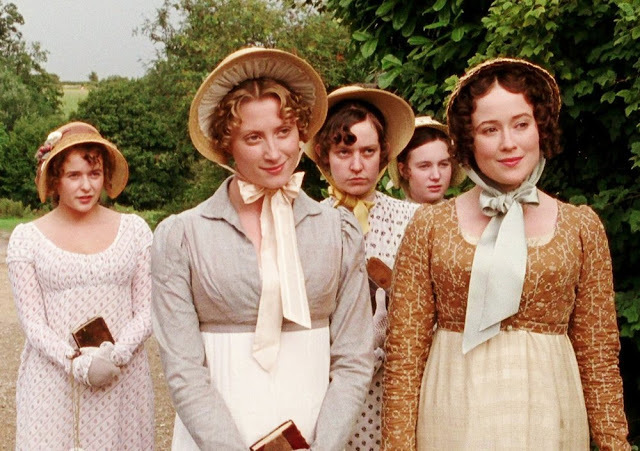 But, it’s been a few years since I’ve read the book, and I was pleasantly surprised to hear how much of the dialogue of the mini-series was in Austen’s original words. The Bennet sisters from the 1995 mini-series. 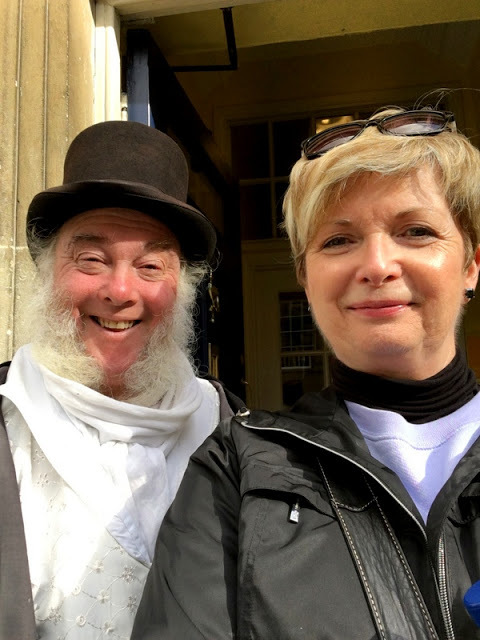 My hours of happy listening made me recall my visit to the Jane Austen Center when I was in Bath last year. And chatting with this gentleman outside who was done up to look like Mr. Bennet from Pride and Prejudice. I told him all about the incident at my Mum’s one evening years ago, when Hubby was upstairs reading, and Mum and I were in the living room drinking tea and watching Pride and Prejudice for the umpteenth time. And as we watched the scene where Alison Steadman shrieks, “Oh, Mr. Bennet my poor nerves,” Hubby descended the stairs. Mum paused the tape, jumped up from her chair, and in a perfect imitation of Mrs. Bennet, shrieked, “Oh, Stuart, shall we have some tea?” She then looked quizzically at me, as if she were thinking, “What the hell did I just say?” And then she and I fell over laughing. Hubby rolled his eyes and headed for the safety of the kitchen and some normal conversation with my stepfather. Ha. “He did indeed,” I replied. And we chuckled. Then I headed inside for tea. 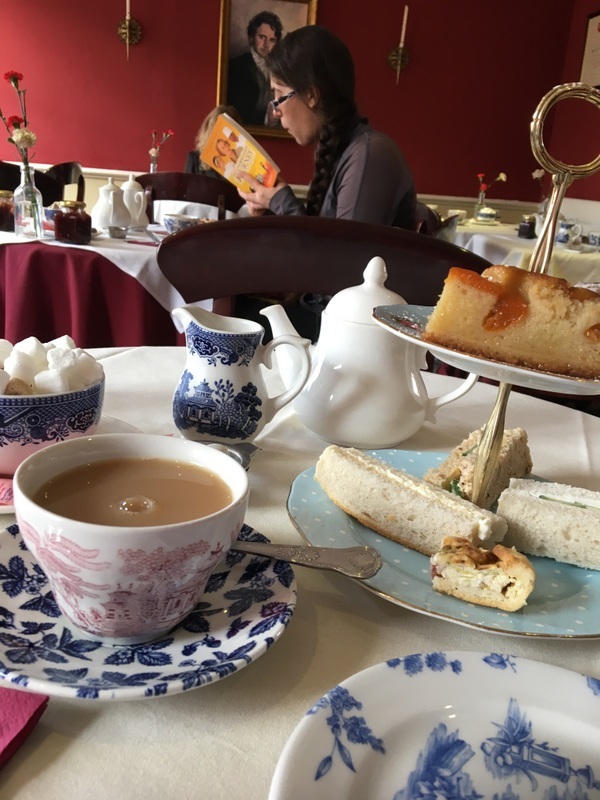 Besides my chat with Mr. Bennet, I loved the apricot cake, the fact that I was not the only solitary reader taking tea, and that glimpse of Colin Firth as Mr. Darcy photo-bombing my shot. It’s often the small moments on a trip leave the most indelible memories, I think. Taking tea in the Regency Tea Room in the Jane Austen Centre in Bath. Yep, Hubby and I are in pre-trip limbo this week. I’m kind of enjoying the calm before the storm. Most of our preparations are complete. Hubby wants to have the garden cleaned up before we go, so he won’t face a frost-riddled, soggy mess when we return in mid-October. So we’ve picked, and pickled, and simmered whatever we can. Our freezer is chock full of tomato sauce, apple sauce, pesto, and peppers. I’m sure the neighbours, my walking buddies, and Hubby’s golfing and hockey mates, are right royally sick of the bags of garden produce we’ve been pressing upon them. We simply cannot keep ahead of the apples. In fact, I see Hubby out the window at this very moment picking apples from our still-laden tree. I might open the window and in my best Mrs. Bennet imitation shout, “Oh, Stuart, shall we make a pie?” Or I could try to NOT be annoying and simply help him pick. Yeah. That might be better. You know, I’m not the only one who enjoys this kind of limbo. Pop on over to No Hat No Gloves and see how much more eloquently Annie writes about much the same thing. You can find her post here. I think you have to love a woman who loves good books and colourful footwear, don’t you? Now, what are you up to these days folks? Speaking of calm and storms, I know that many of you are probably hunkered down what with all the big weather events this week. Hope you stay dry and safe. Linking up this week with Thursday Favourite Things and Saturday Share Link-up. Oh Susan, do have a lovely trip (in character please). Been reading a German blog. 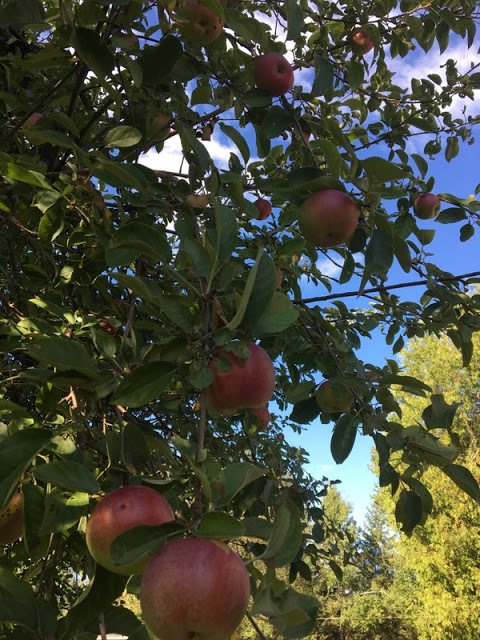 There too an annoyingly good year for apples. I have never heard of a baked apple pie. Must look that up for next year. Ohh! That's me! How kind. Those days before you leave for a trip, everything is decided and you seem to be running on the spot…that's why I try now to schedule long train journeys for the morning so I am up, off and out. Enjoy the happy hours of listening as you zoom along. Ha. Not much zooming on trains around here. Although I love to take the train to shop in Montreal or Toronto. We don't have the extensive rail system that you do in the UK. There has been no Mr. Darcy to compare to Colin Firth…aloof, elegant, sincere and ever so pleasing to look at especially dripping wet! 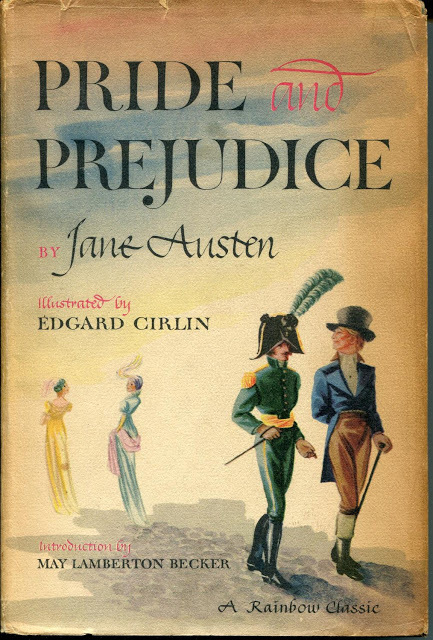 My favourite book of all time is Jane Austen's Pride and Prejudice (along with Jane Eyre by Charlotte Bronte) so that gives a clue to my somewhat romantic nature. Currently reading 'The Miniaturist' by Jessie Burton since it ties in so beautifully with our very recent trip to Amsterdam and a viewing of Petronella Oortman's amazing real-life dollhouse at the Rijkmuseum. I'm enjoying the lull this week. Savouring the last few jobs, and then the packing…with no rushing. I hate rushing. Another P & P fan here. I read it as a young teenager not having been a reader before and I finally understood reading for pleasure. I love all of Austen’s books and heartily wish she’d lived longer and written more. I re-read them all every couple of years and while I admire Sense and Sensibility and Emma, Pride and Prejudice will always be my favourite. And no-one comes close to the impeccable Mr Firth as Darcy – sublime, just sublime. Enjoy the lead up to your trip and I look forward to travelling with you vicariously. I know what you mean. I often wish that so many of my favourite authors could write just one more book. I love the idea of listening to Austen on the lead up to Italy. Or of course one could listen to A Room With A View too;). We're departing on a much shorter (in all dimensions) trip tomorrow AM, and I notice I am going through many of your preparations. Hope you have a lovely holiday. I am excited to watch the P & P version with Colin Firth! I loved the 2005 movie, but haven't seen the one with Colin Firth, and I can just imagine it's great. I really enjoyed this post — Thanks so much for sharing it at Thursday Favorite Things!